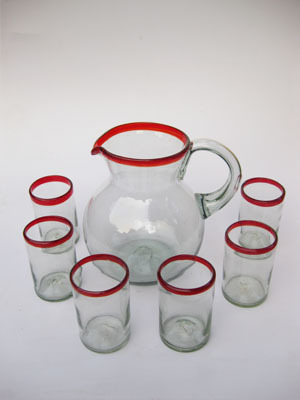 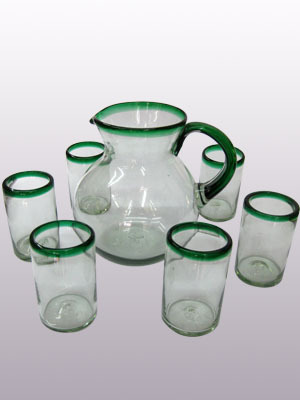 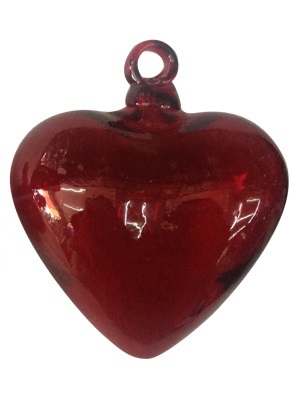 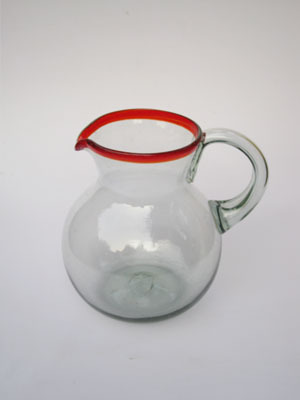 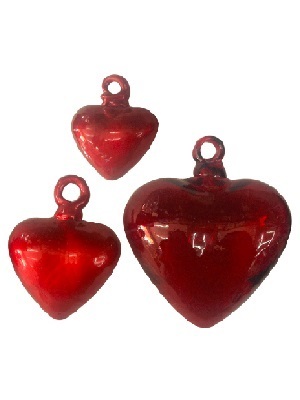 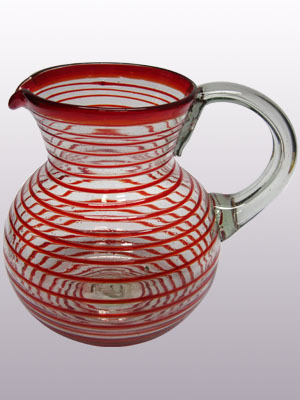 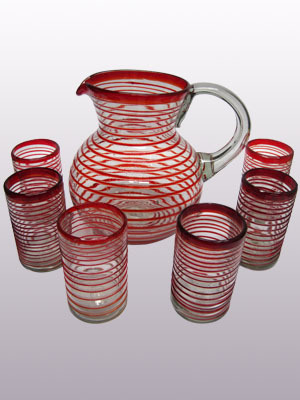 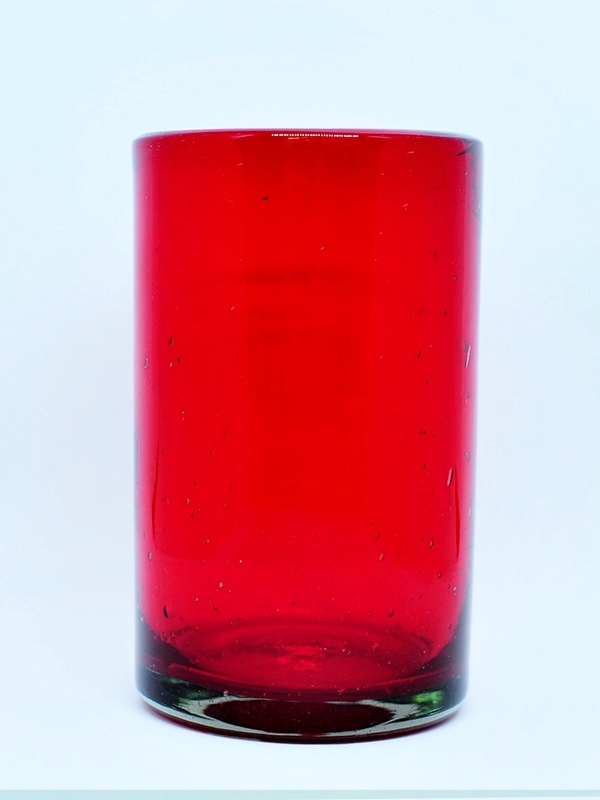 Bordered in beautiful ruby red, this classic pitcher and glasses set will bring a colorful touch to your table. 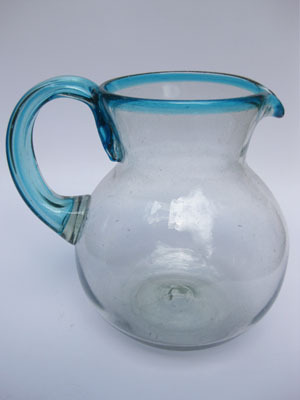 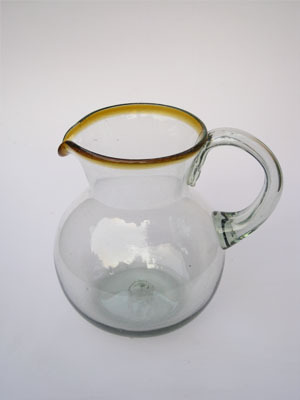 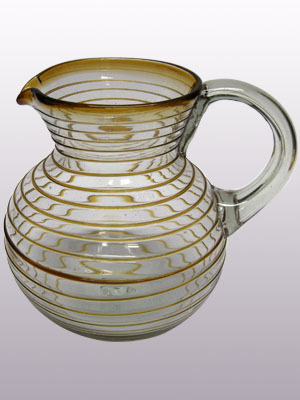 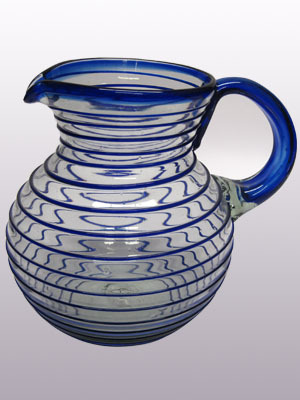 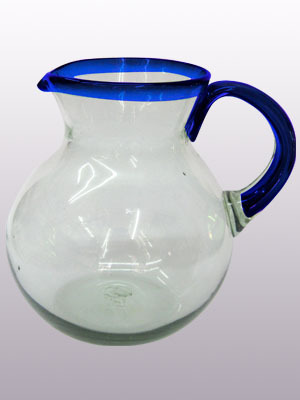 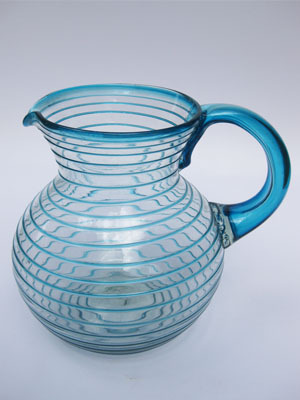 PITCHER: Weight: 4.1 lbs. 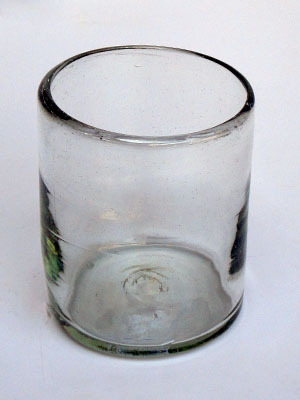 ; GLASSES: Weight: 0.9 lbs. 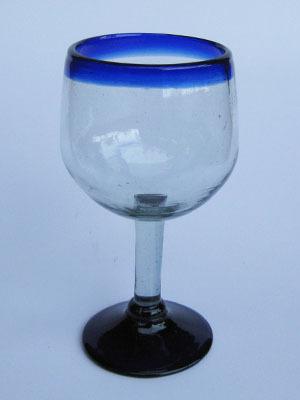 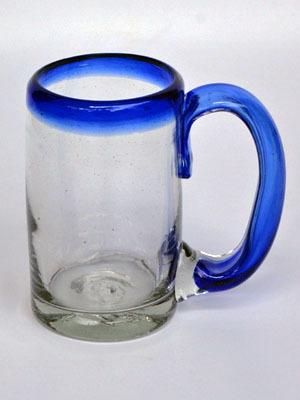 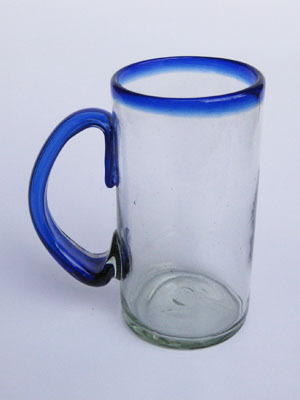 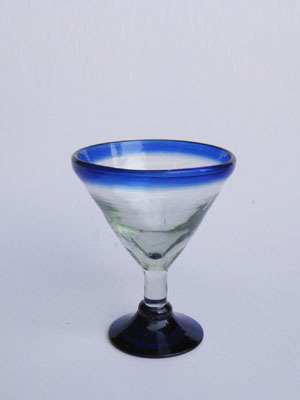 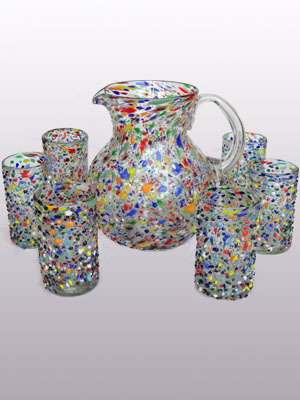 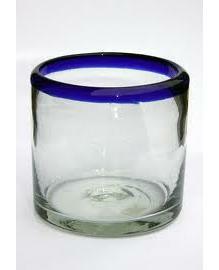 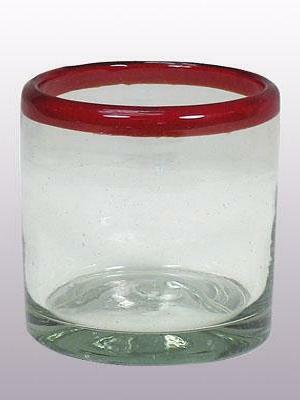 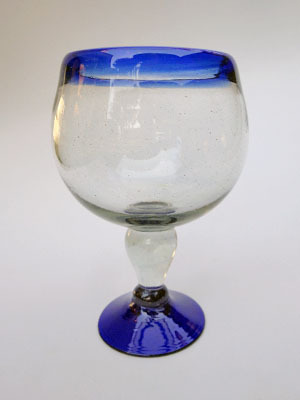 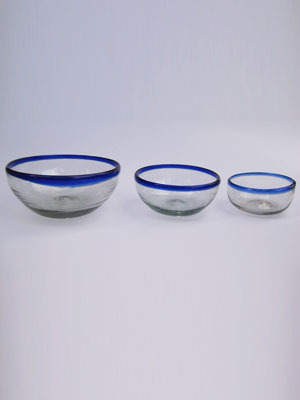 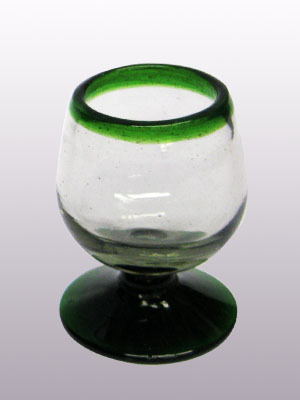 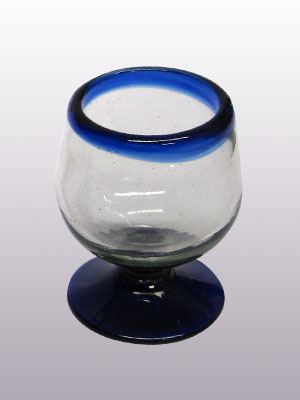 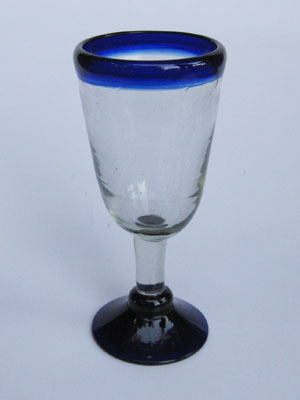 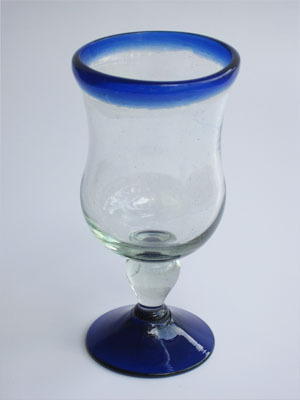 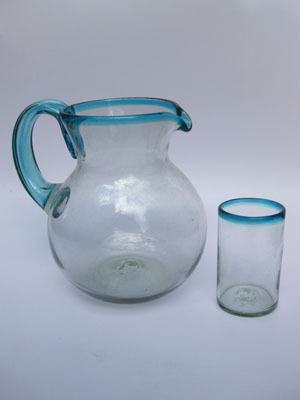 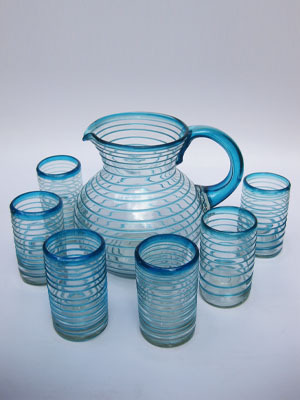 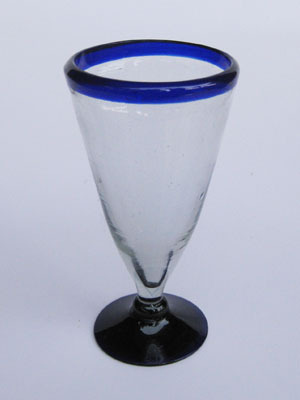 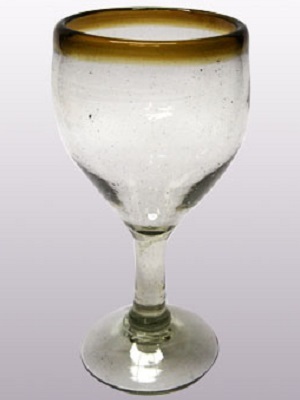 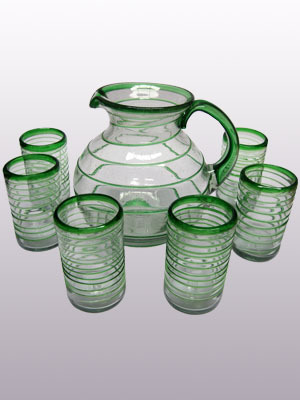 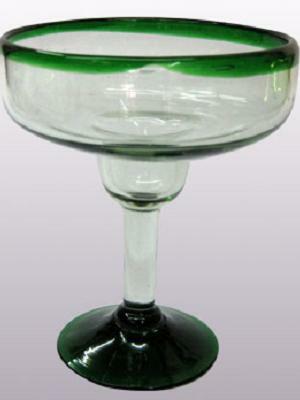 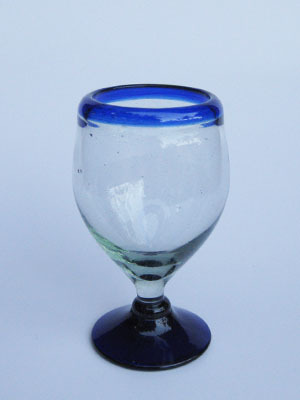 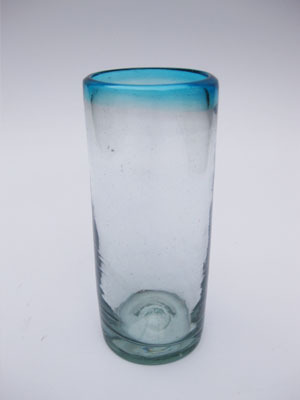 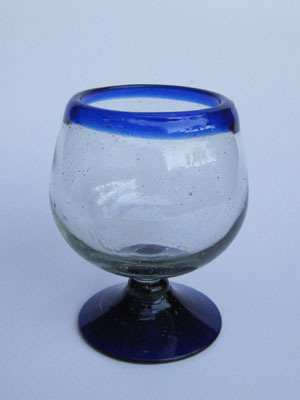 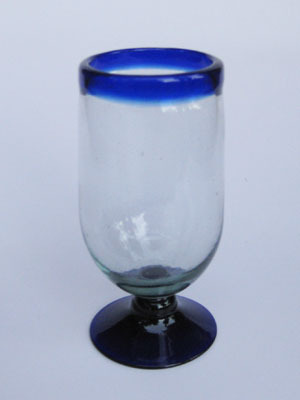 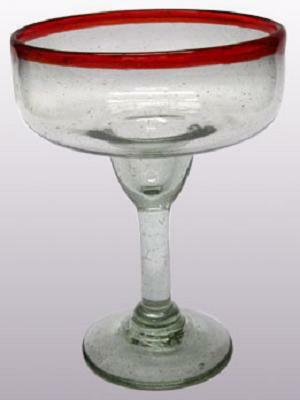 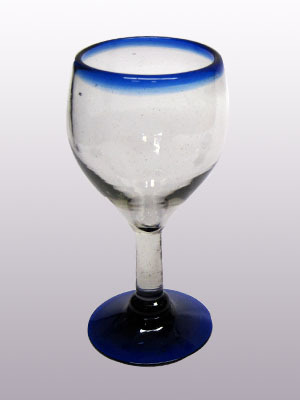 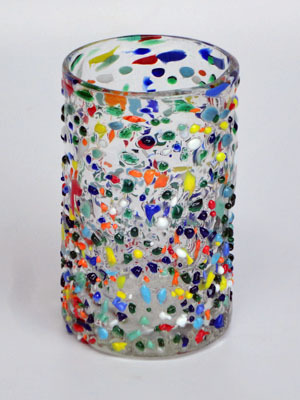 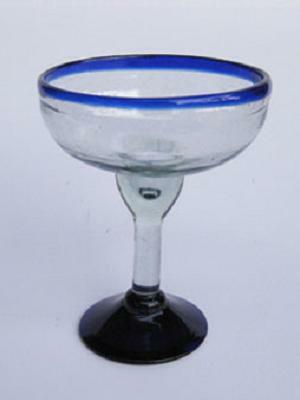 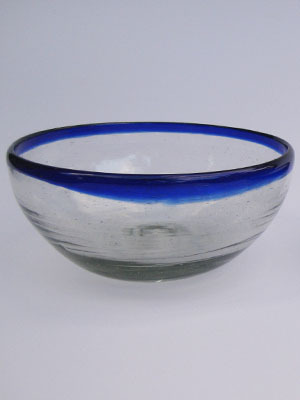 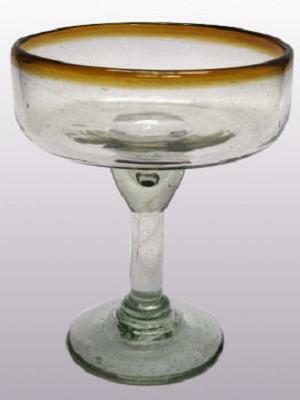 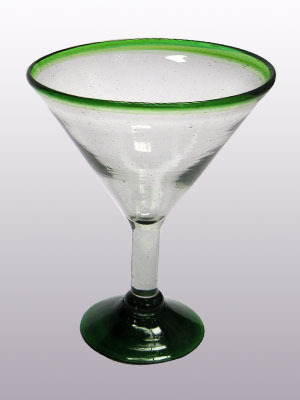 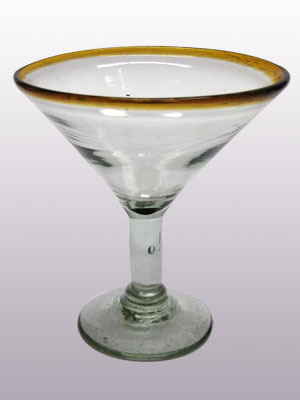 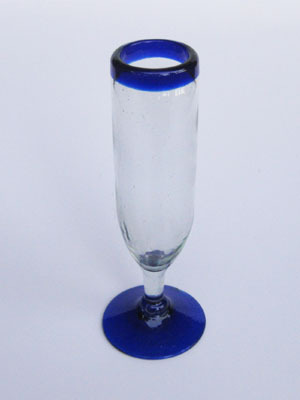 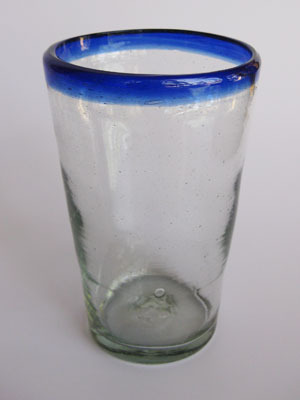 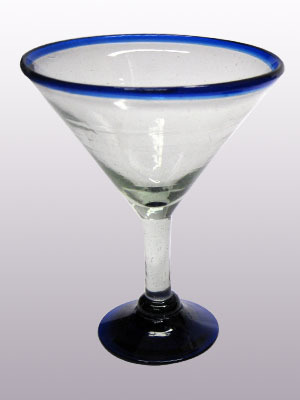 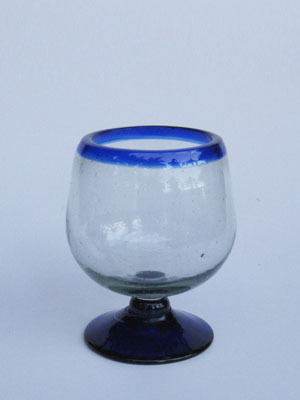 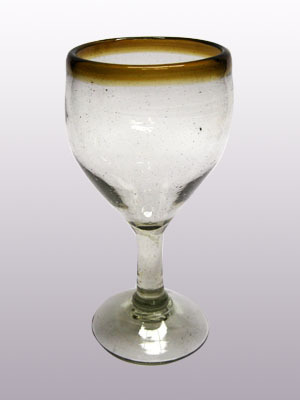 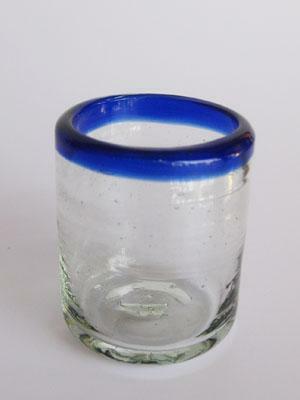 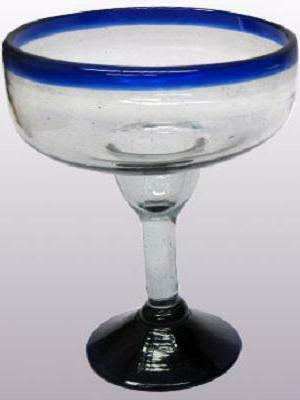 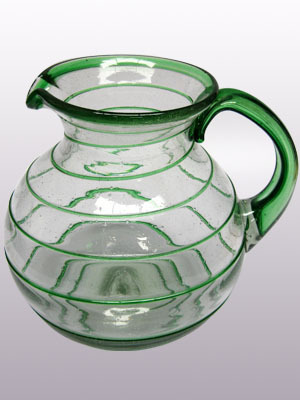 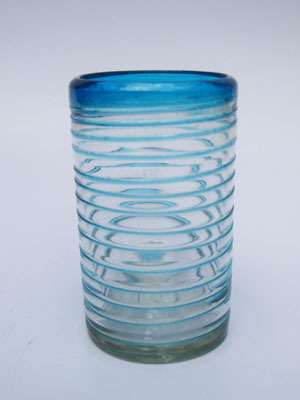 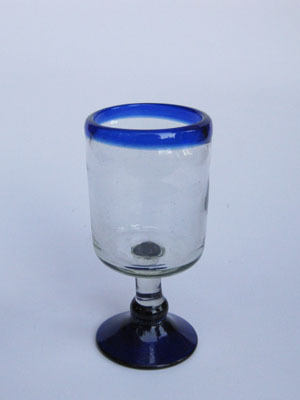 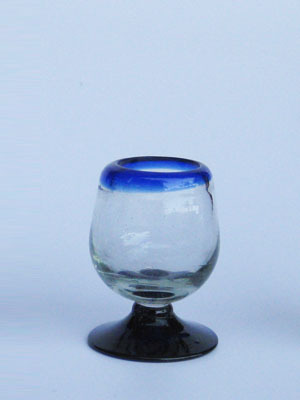 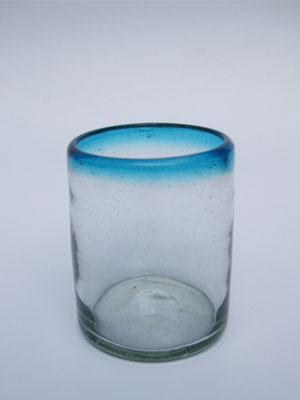 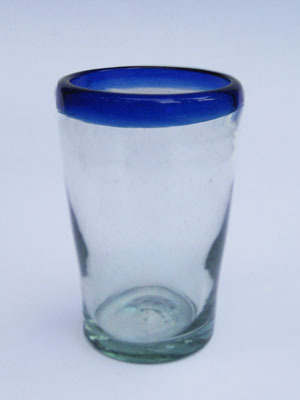 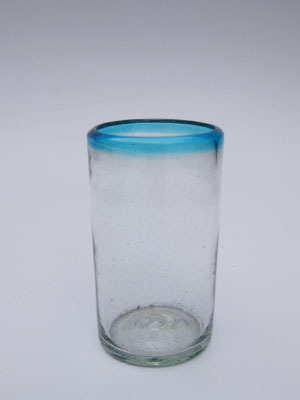 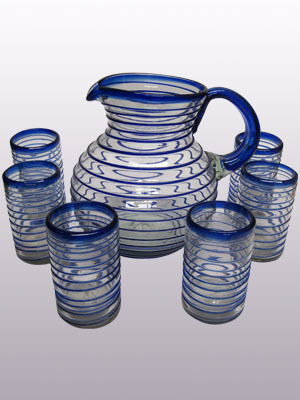 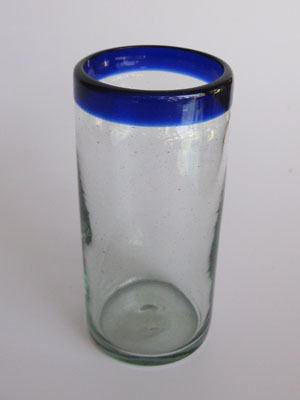 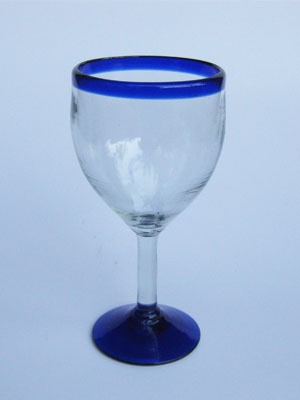 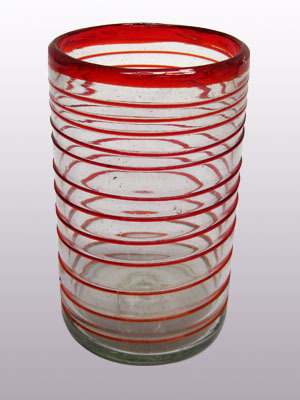 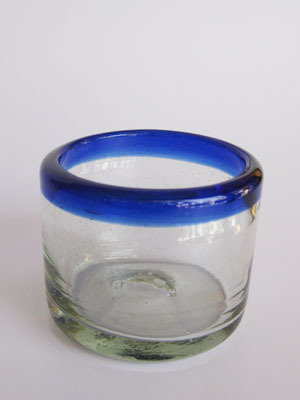 Mexican glassware, ... recycling at its best. 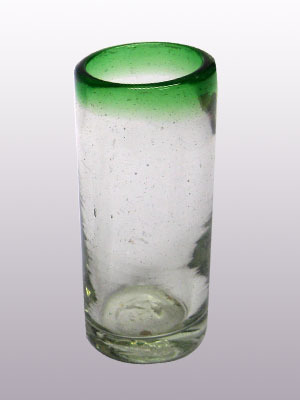 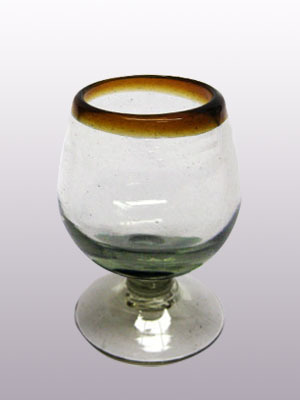 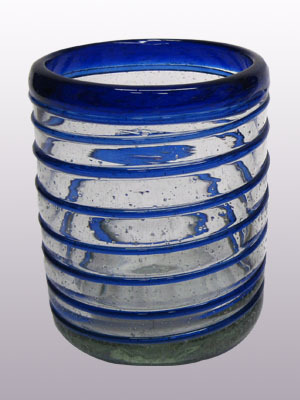 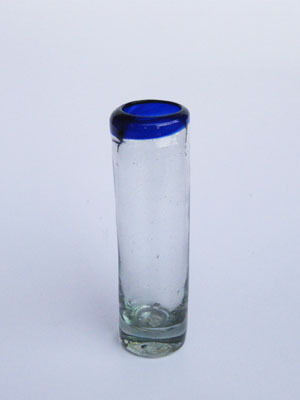 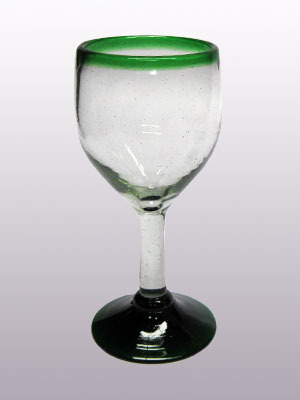 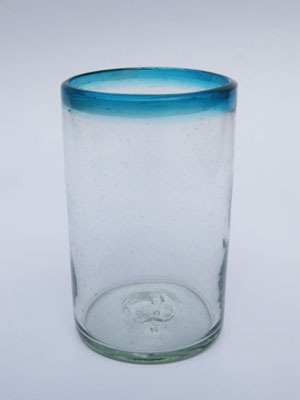 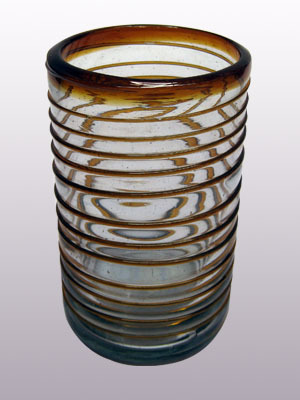 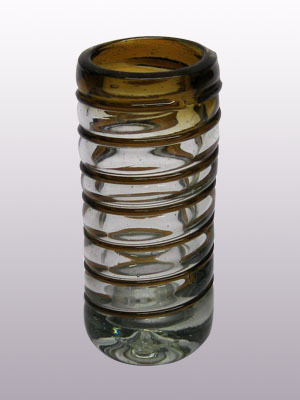 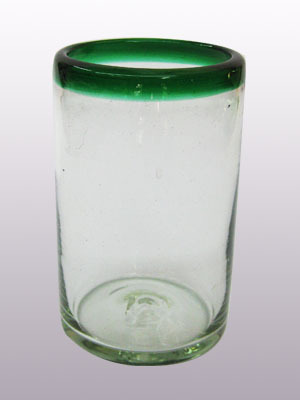 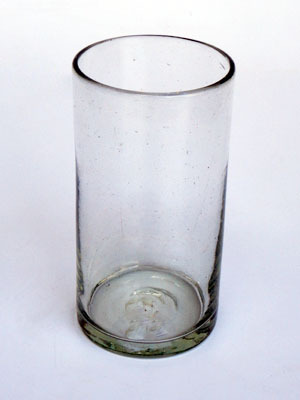 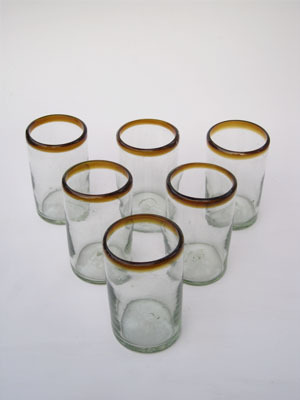 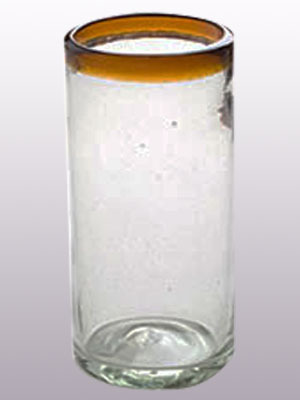 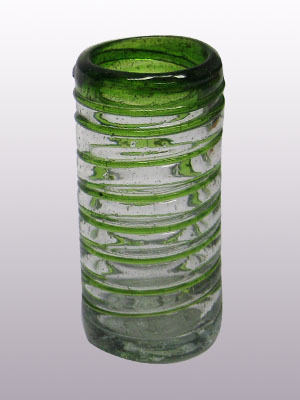 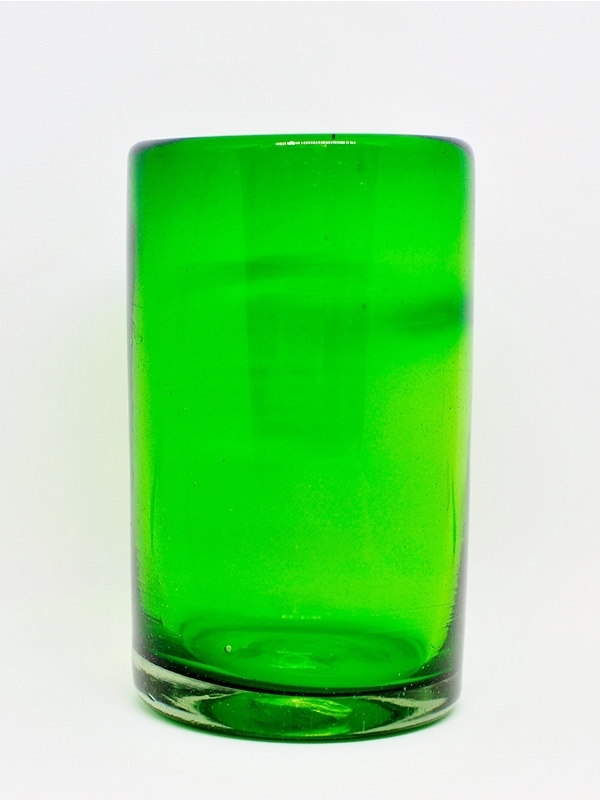 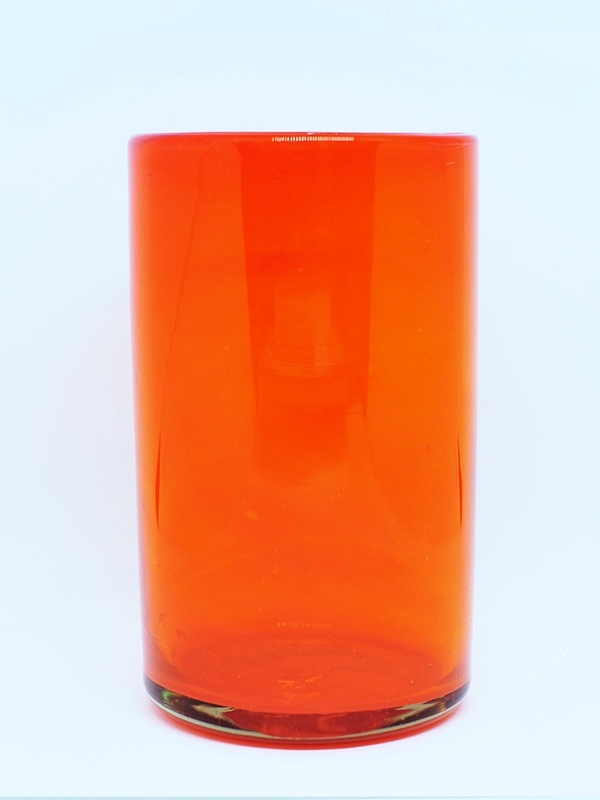 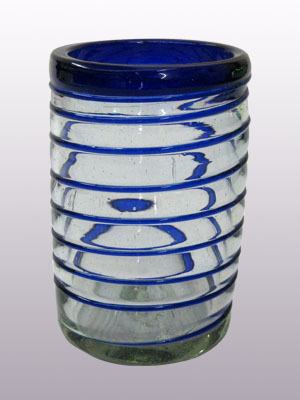 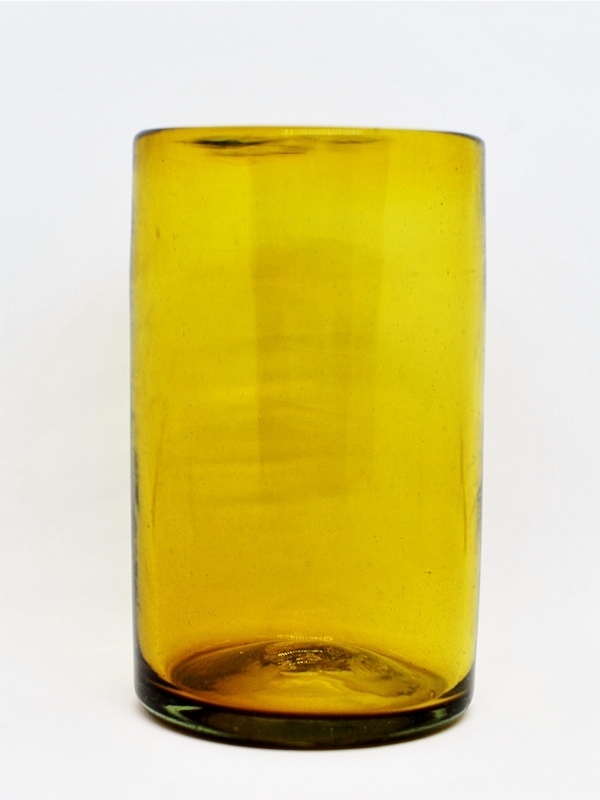 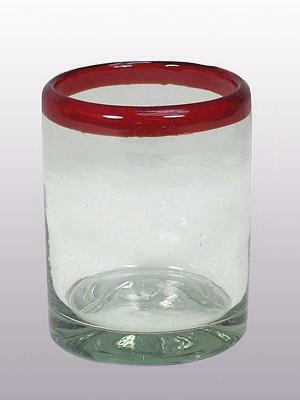 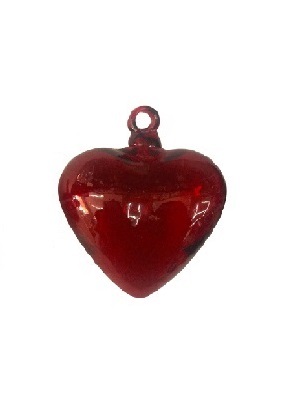 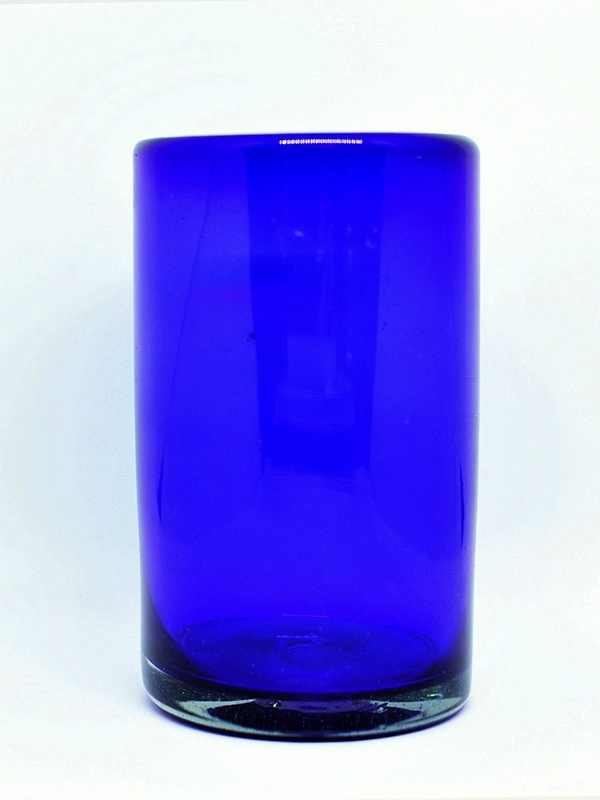 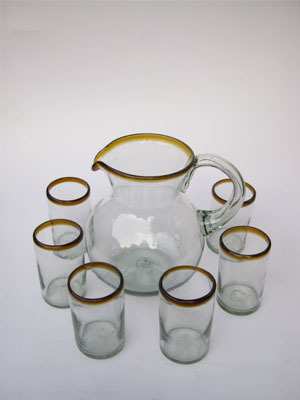 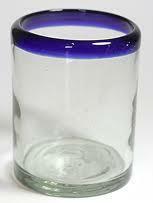 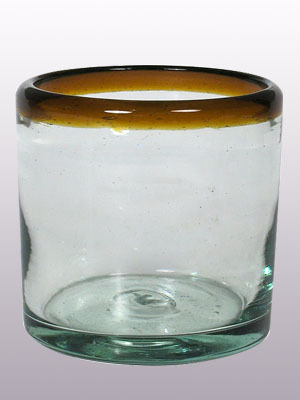 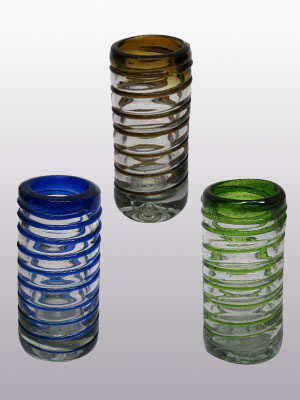 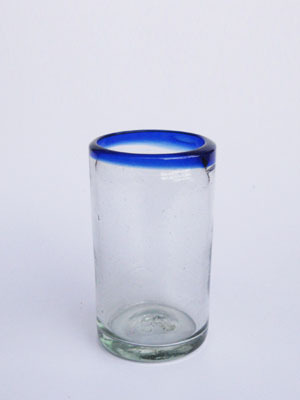 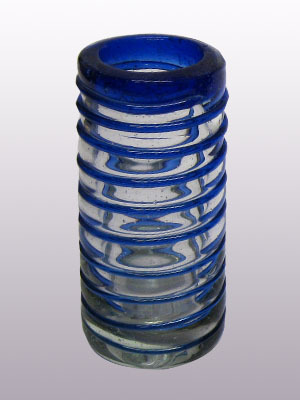 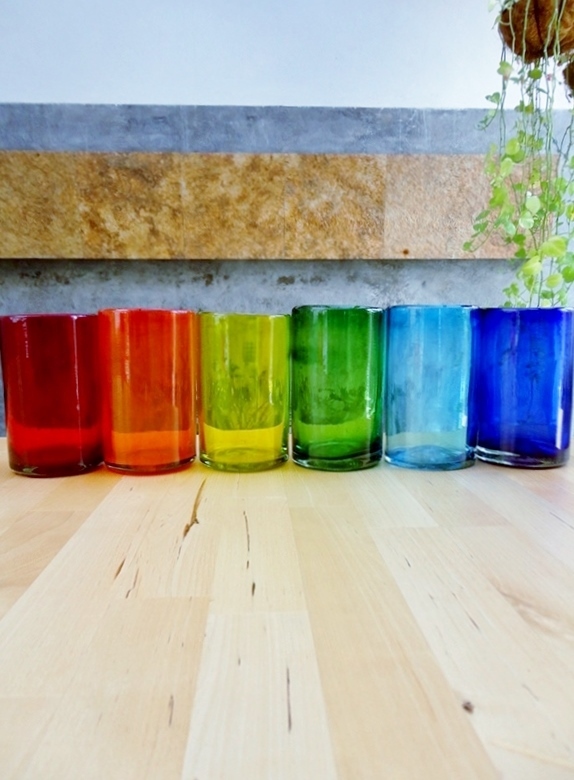 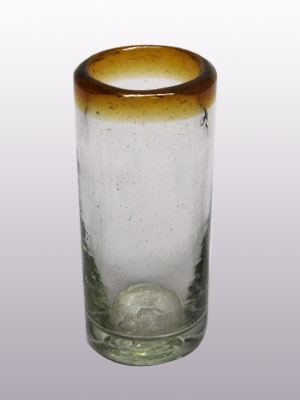 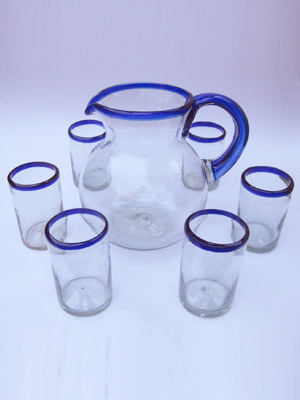 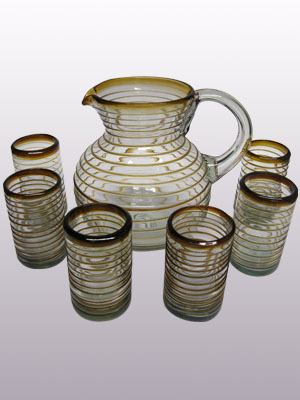 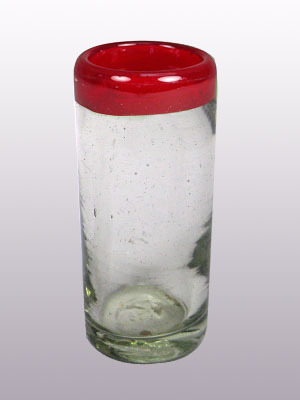 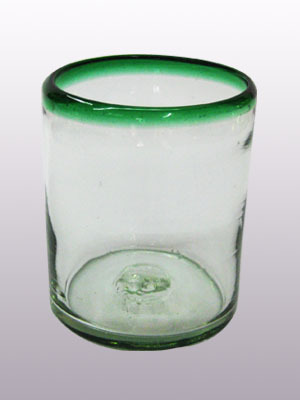 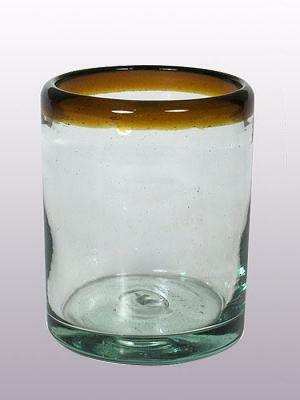 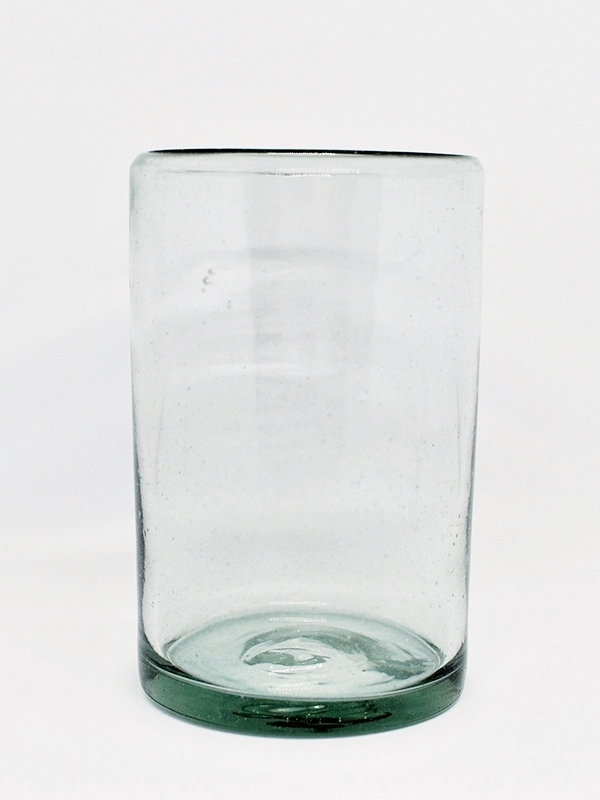 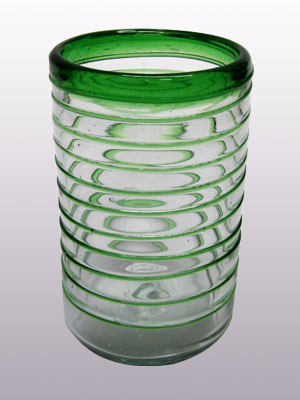 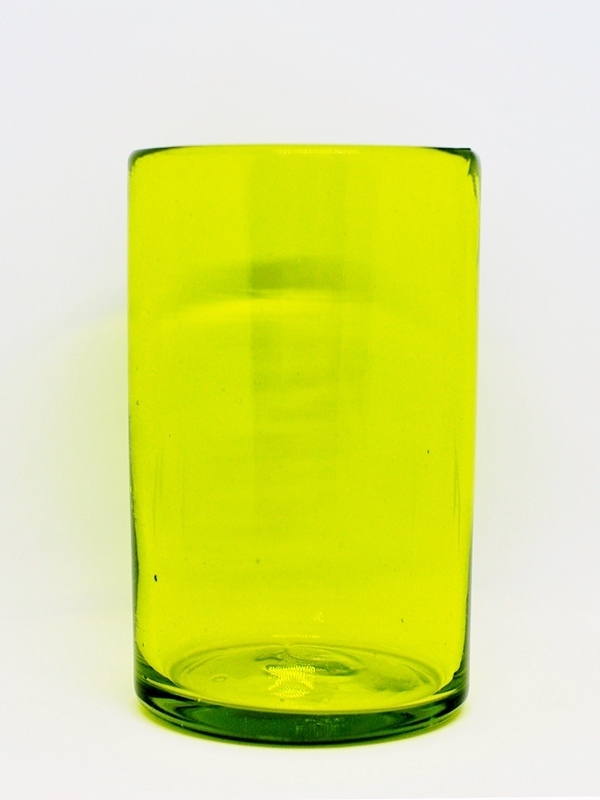 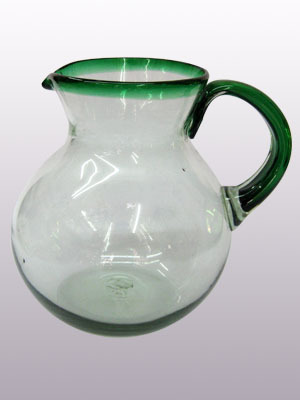 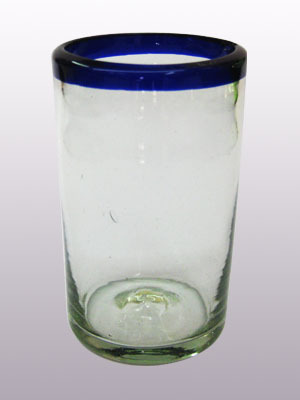 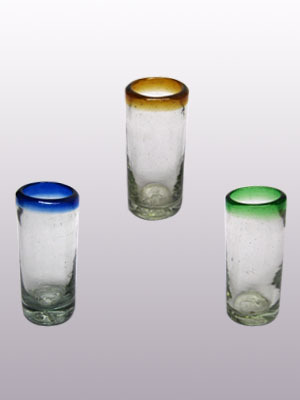 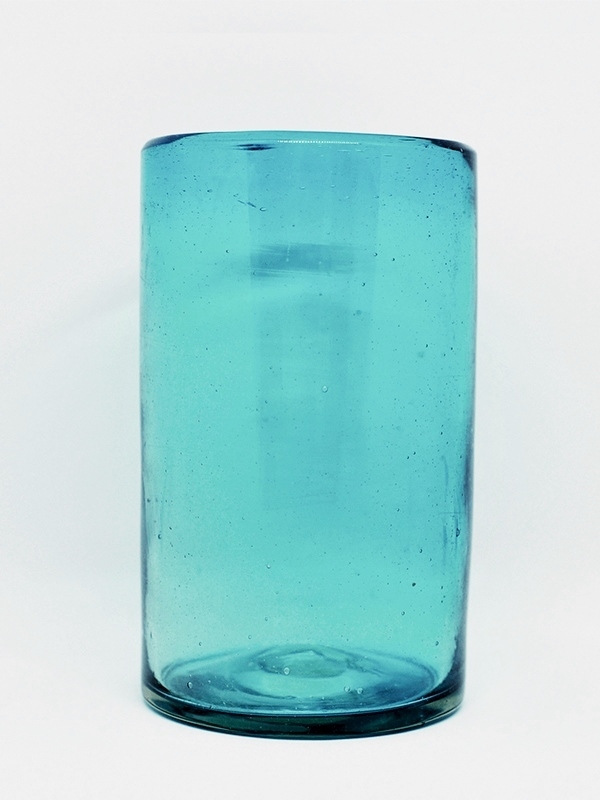 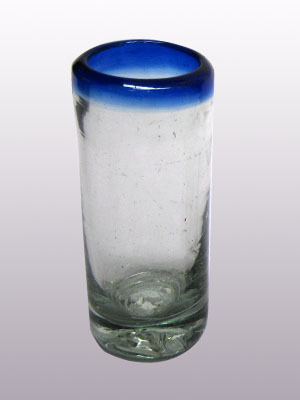 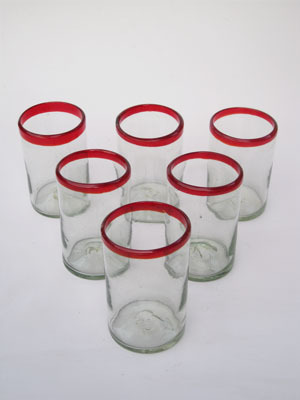 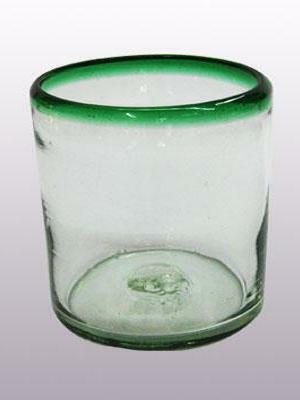 Clear glass bottles form the raw material for the mexican glassware factory. 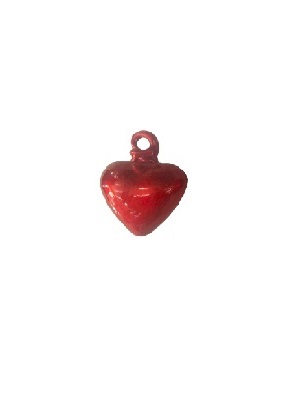 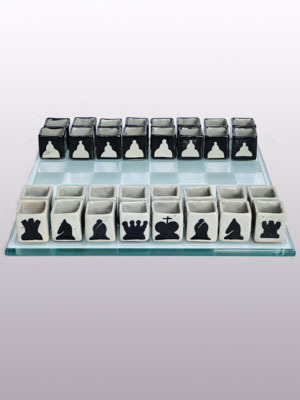 It is broken into small chunks before being fed into the ovens. 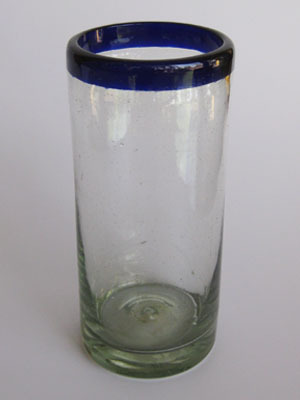 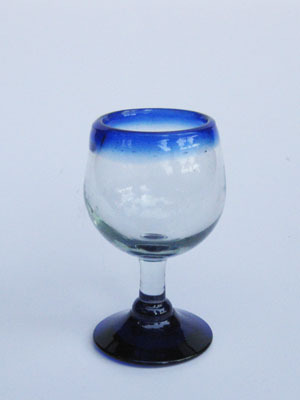 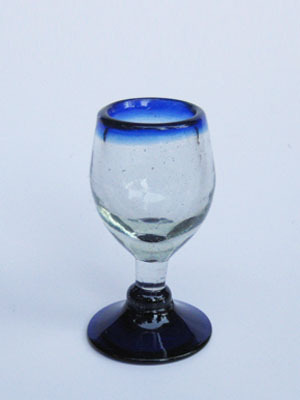 Many are recycled tequila bottles, of which there appears to be a virtually unlimited supply in Mexico. 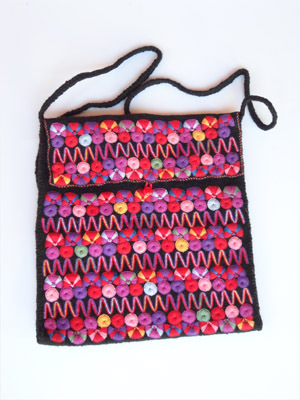 From the original, rather pedestrian use, beautiful things can be made. 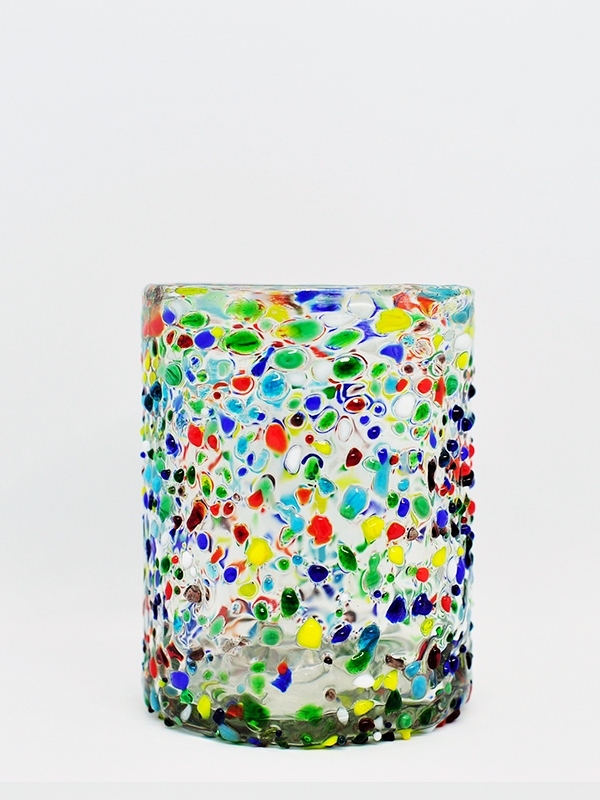 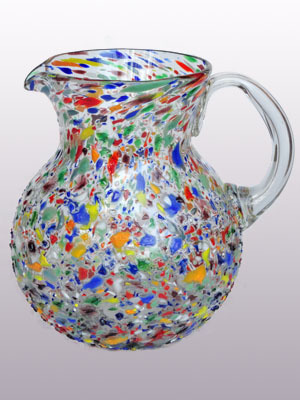 The workers only use clear glass so that they can add material during the manufacturing process to create beautiful swirling colors. 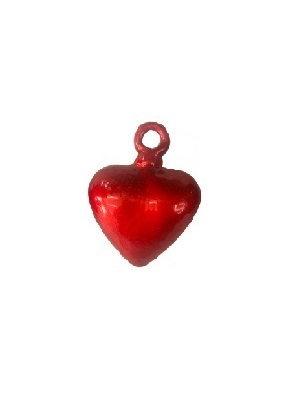 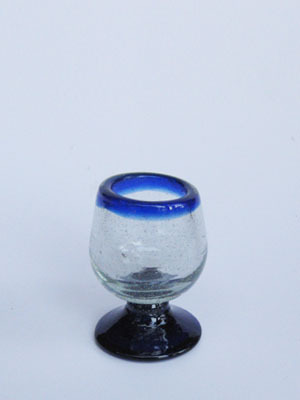 They use poles to reach into the furnace and pick up globs of molten glass which is then molded and blown into the desired shape.